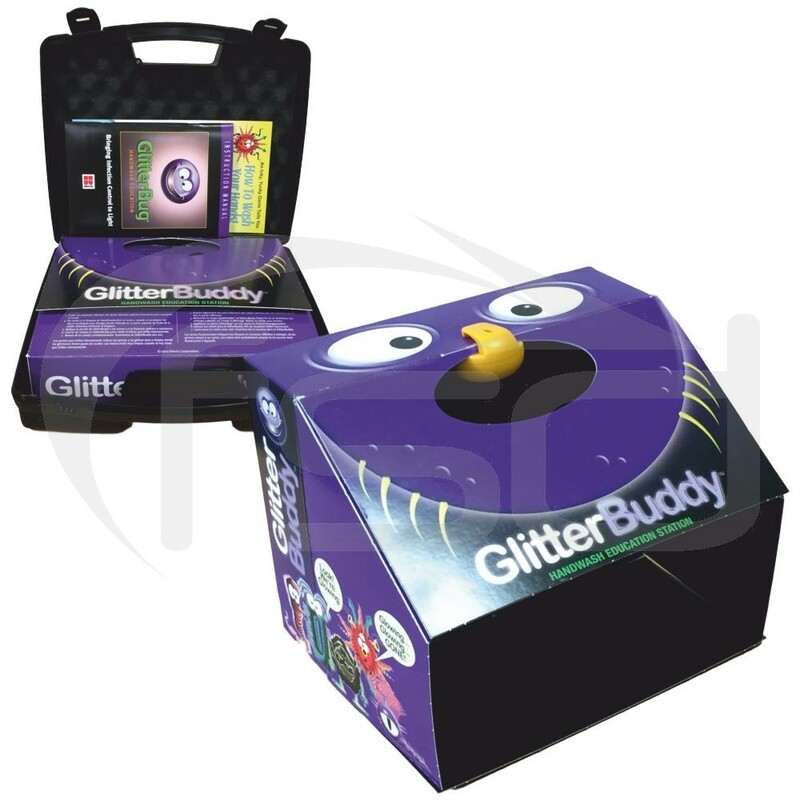 The GlitterBuddy is made from a durable paper-board and is brilliant for teaching effective hand hygiene when used in connection with our GlitterBug Potion. 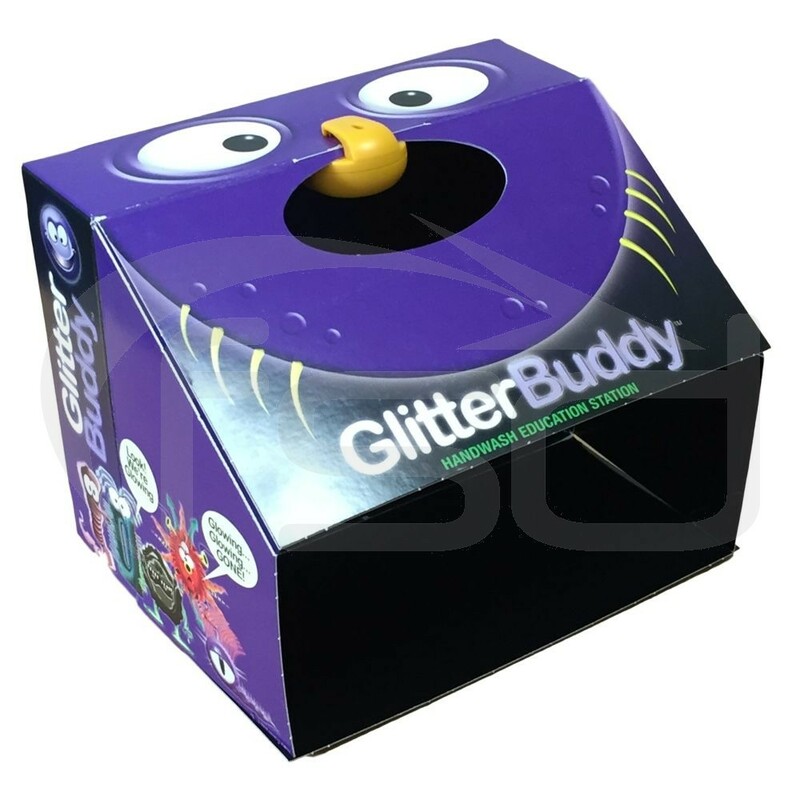 The GlitterBuddy is made from a durable paper-board. 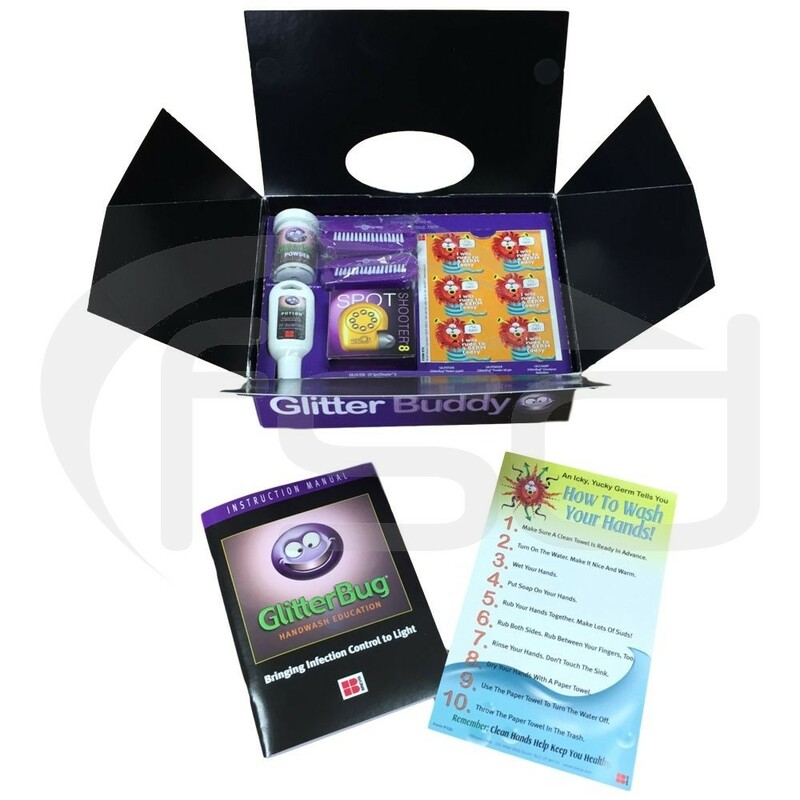 It is brilliant for teaching effective hand hygiene when used in connection with our GlitterBug Potion. 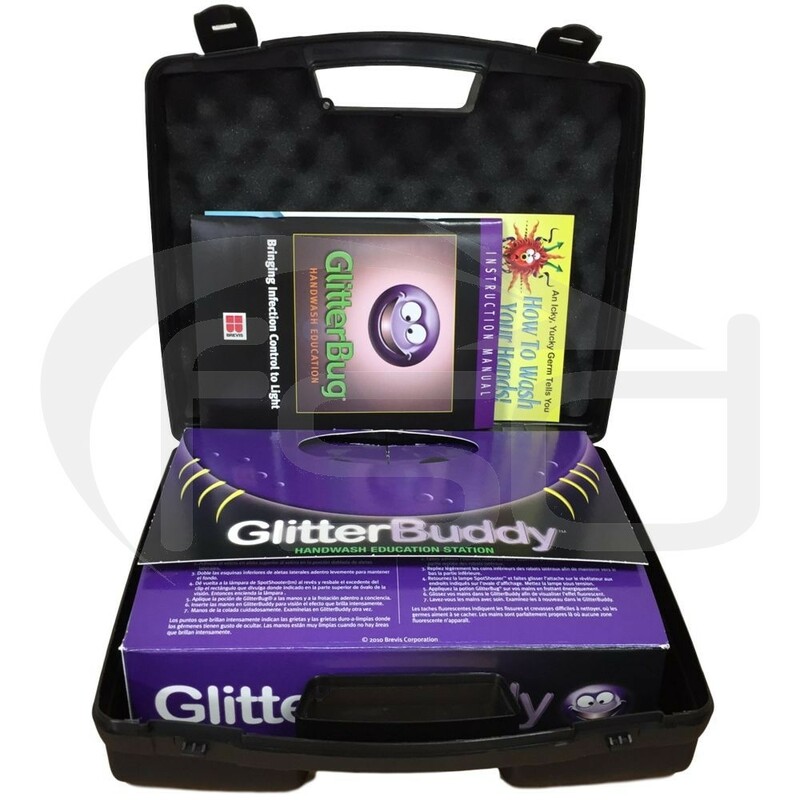 The GlitterBuddy folds out to form an small viewing box that helps to eliminate unwanted light. The result is that areas of the hands that have not been washed properly will glow under the UV light far more strikingly than if viewed under natural lighting conditions. 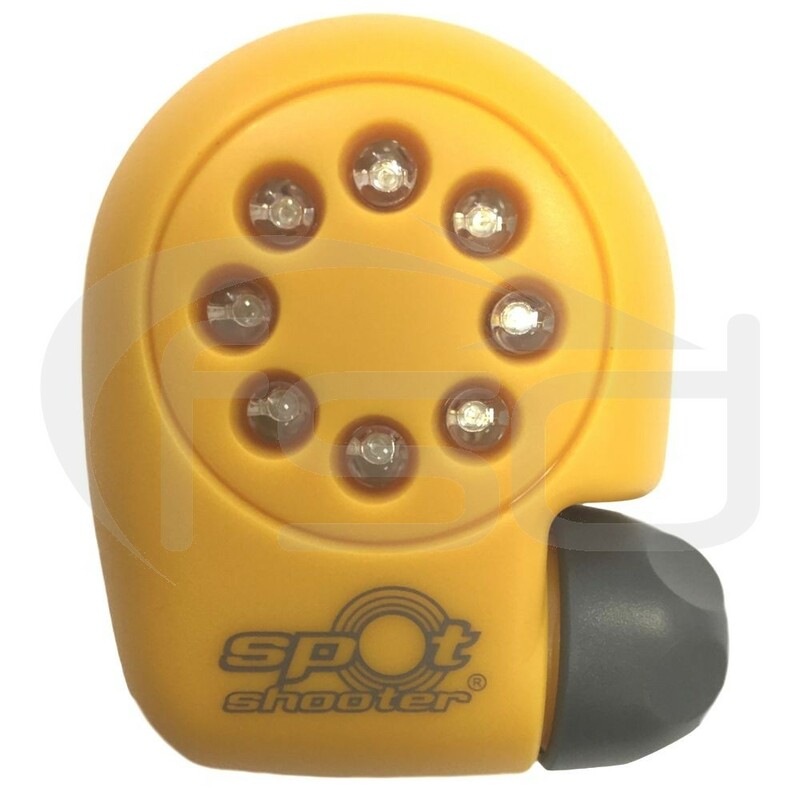 The Spotshooter UV light can also be removed and used independantly of the GlitterBuddy. 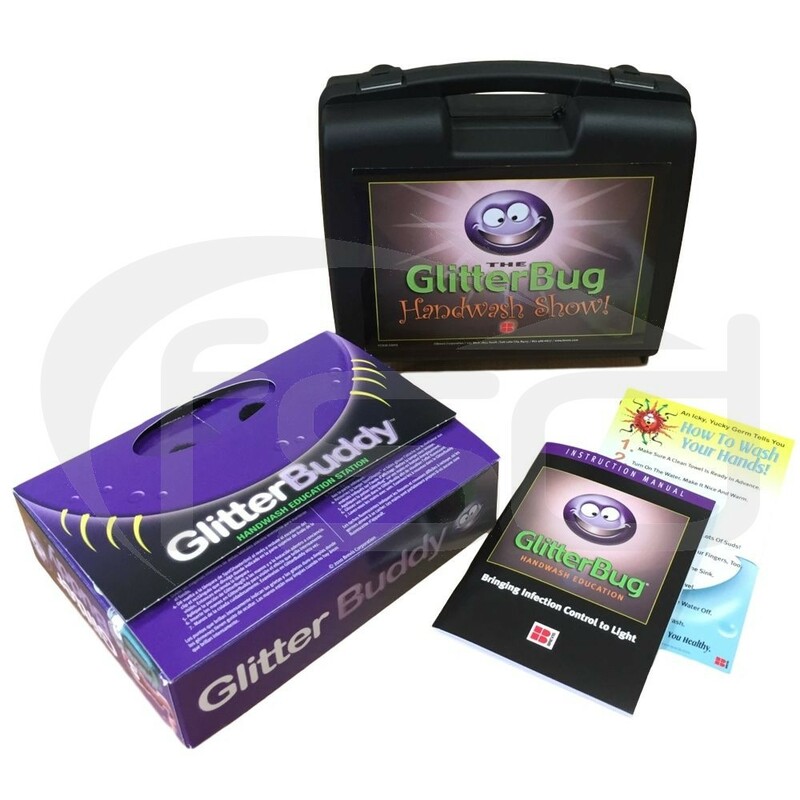 This is ideal for use with the GlitterBug Powder which is also included in the kit. The Powder can be spread on surfaces which are then cleaned. 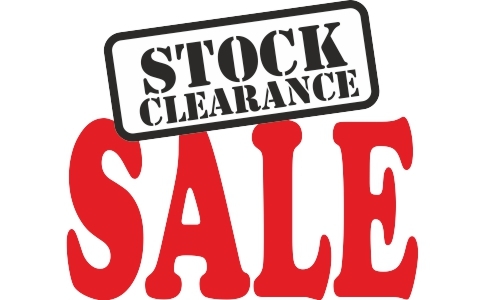 Any areas not cleaned properly will show up when exposed to the UV light. 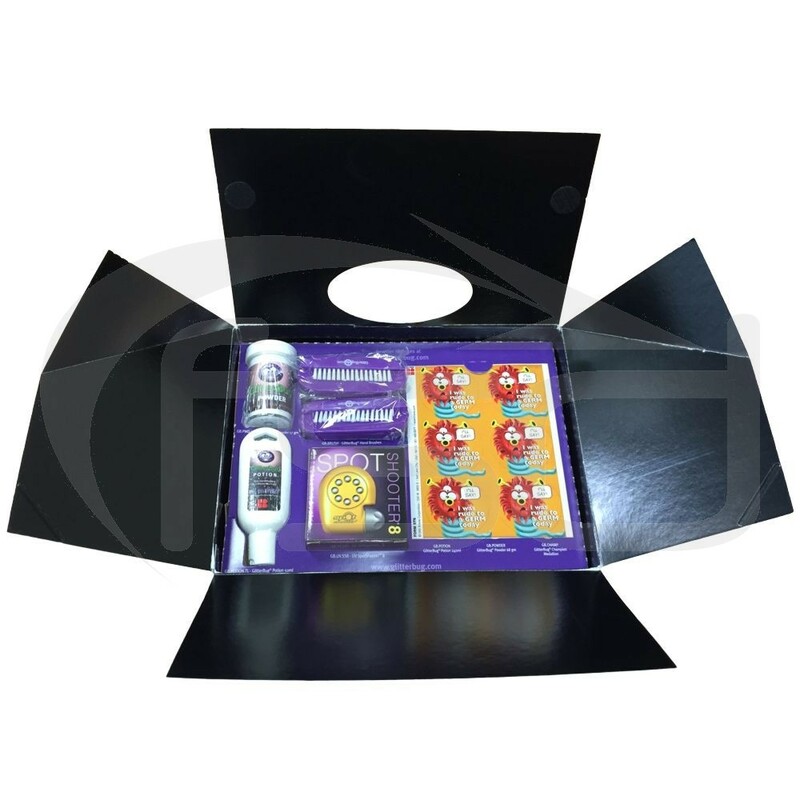 The unit is very lightweight and folds up neatly into the supplied carry case. 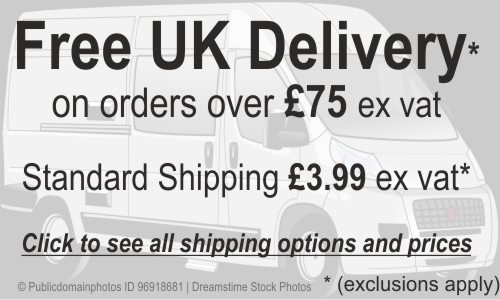 The unfolded unit measures 279 X 216 X 216mm.